Libya has freed the two bosses of Malta-based air services company Medavia, who were detained for the past two weeks over allegations they helped the Gaddafi regime during the civil war. Managing director Abdulrazagh Zmirli and the firm’s technical general manager Abdalla Dekna were arrested by the SSC, an elite unit set up to rein in the country’s unofficial militias. In a statement issued yesterday afternoon, Medavia confirmed the two men were released from detention following days of diplomatic wrangling. “The company is very appreciative for the relentless support shown by the numerous people and entities who called to enquire about their situation and well being,” the Medavia statement read. Mr Zmirli and Mr Dekna were being held for questioning in the northwestern city of Zawija and were released some time between Wednesday night and early yesterday. Since Mr Zmirli is also a Maltese citizen, Malta had requested diplomatic access to the two arrested managers and asked for reassurances about the way they were being treated. Access was never granted, though sources had said it was being considered. Mr Zmirli’s son, Ismael, lives in Malta and was a prominent anti-Gaddafi activist during the revolution, where he used social media to promote the cause. He has always maintained that his father had nothing to hide. “My father has been released. Case has been dropped and closed due to lack of evidence. Two weeks wasted,” he said on Twitter yesterday afternoon. When contacted, Medavia financial general manager Joe Formosa said it was too early to establish whether the case has been dropped unconditionally. “What we know is that they were questioned, detained and now they have been released. No charges have been issued and the indications are that none will be filed,” he said. 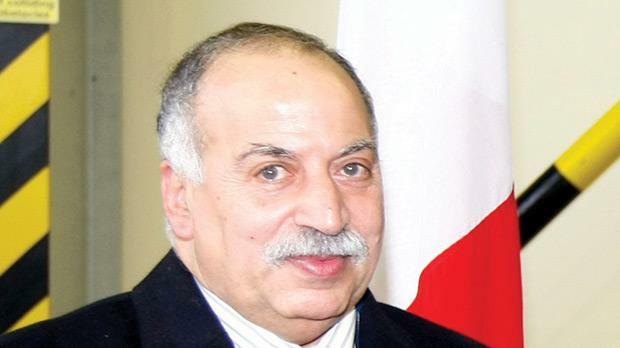 Mr Zmirli is highly respected within the Libyan community in Malta for having kept Medavia going and retained its employees despite the upheaval in Libya during the uprising against the Gaddafi regime. Mr Zmirli was also instrumental in the organisation of Red Cross relief efforts to Libya during the uprising. Libyans in Malta had collected a petition in support of Mr Zmirli and were also planning a protest, which they postponed after hearing the men would be released shortly. Within days, some 150 signatures were collected in support of Mr Zmirli and sent to Libya with a lawyer. “There is no way that these allegations about Mr Zmirli can be true. Everyone here knows him and respects him, especially for his role during the war,” petitioner Elhadi Elwohashi said, pointing out that he had delivered night-vision goggles to the rebels in Benghazi paid for by Mr Zmirli. “He actively supported the rebels during the war,” he insisted. Medavia was one of several joint Maltese-Libyan ventures indirectly affected by EU sanctions imposed on the Libyan Foreign Investment Company during the war. The company continued to operate throughout the crisis and carried out several evacuation flights with injured people out of war-torn Libya. Mr Zmirli, an engineer, was previously a non-executive director of Corinthia Hotels and occupied a similar non-executive post at Mediterranean Investment Holdings. As well as heading Medavia, he is a trustee of the Mariam Al-Batool school in Paola.